now I use the more superior Terminator. 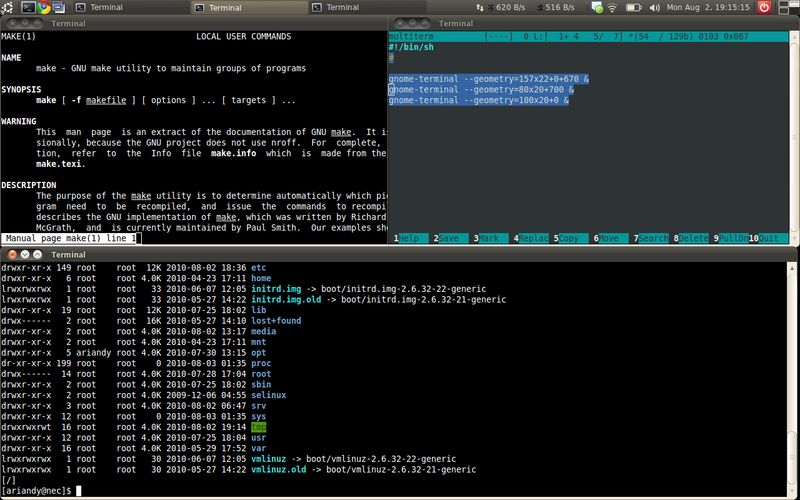 I am now aware of tiling window manager (i3, awesome, etc.). For the sake of simplicity and ease of access, you can put a shortcut on the GNOME panel to launch the script with a single click of the mouse.